Nixon emphasized his accomplishments in foreign policy and domestic initiatives. McGovern criticized Nixon's failure to end the Vietnam War. 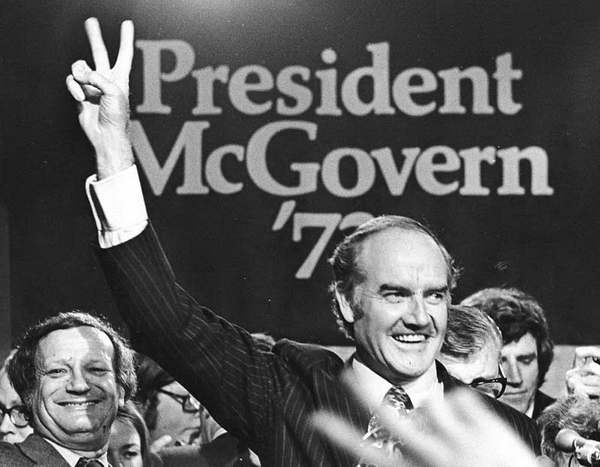 McGovern's campaign was harmed when his original running mate, Thomas Eagleton, was replaced following reports of Eagleton's previous treatments for nervous exhaustion. George McGovern campaigns in Madison, May 31, 1972. Photo by Mark Perlstein, courtesy of the "Wisconsin State Journal." 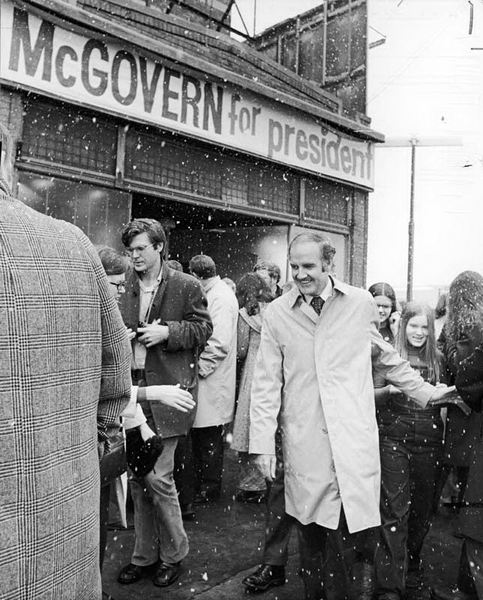 George McGovern at his Madison campaign headquarters, April 4, 1972. Photo by David Sandell, courtesy of "The Capital Times."